2016 has seen Jess Bays take the house scene by storm! Offering the crowd a blend of uplifting vocals and tough tech beats, she has quickly become a recognised name on the circuit. Not afraid to take the crowd on a journey Jess digs deep in to the archives and sets the floor alight with a mix of sounds from 70's disco, 80's groove, 90's garage through to pioneering beats. Jess' style sits perfectly between underground and commercial. Comfortable in either world and a master of her art, Jess has developed a unique chunky house vibe, with an old school twist. With We Are FSTVL 2015 already under her belt and numerous sets on the white isle - where she received an Award for Best Ibiza Newcomer DJ Runner Up; 2017 promises further success and accolades to match. Jess has a residency at XOYO for Sneak, is a regular at Tribal Sessions & held a residency with Warehouse LDN before its closure. She is a regular at Ministry Of Sound & EGG London and has also played a number of times at the infamous Studio 338 to a full capacity terrace. Her ear for a hit record has also seen her take up a role as A & R for hot new label D-Vine Sounds which is owned by Sam Divine and has also been asked to provide guest mixes on the world famous Kiss 100 & Rinse FM & also 2016's first podcast for Data Transmission to name but a few achievements..
Jess is working her way up through the industry and is slowly becoming a fixture within the global party scene. She brings energy and education to her crowd, with remixes and edits that are showstopping. 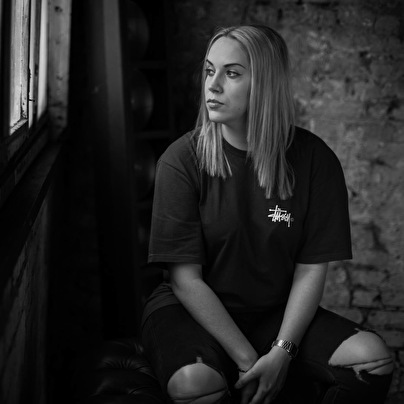 Jess has supported some of the biggest names in the industry, among the likes of Richy Ahmed, Annie Mac, Sam Divine, Lee Foss, The Martinez Brothers, Artwork, Claude Von Stroke, Justin Martin, Hannah Wants, Sonny Fodera, Cristoph, Solardo, Jackmaster, Skream, Saytek Live to name just a few! Recenltly she has headlined SIN in Dublin & and has just played the Bugged Out in Dreamland Main Stage alongside some of the biggest names in the industry.